The park aims to preserve and safeguard the natural environment of the area, therefore, our approach differs from that of more traditional cemeteries. 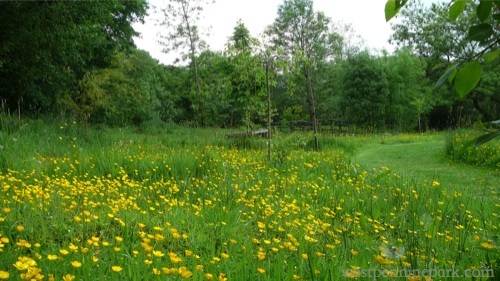 The park endeavours to encourage the native woodland and so the use of vases and artificial flowers is avoided. Cut flowers are permitted, but are removed after 3 days following an internment in order to maintain the appearance of the woodland. The park welcomes and encourages park users to plant their own native woodland plants and flowers and advice can be provided on request. We do not promote the use of traditional headstones within the park as we believe it would detract from the natural beauty and feel of the area, instead all memorial stones are set to ground level in order to maintain the woodland environment. On a number of plots throughout the park it is possible to plant memorial trees. Information on native species and a list of approved trees can be provided on request. There is no open public access to the park except allowed by the park management. Access to the park and facilities is limited to friends and family of plot owners, who are free to enjoy the park at their leisure. If you would like to arrange a visit to the park or a personal tour, please get in touch.